We have some options, I now have the group on Facebook, called TPM members photos, it is quite an active group and the last few MMs I have put something up there and many others have been putting up their monochrome images as well. I could move MM there, and there could be a theme each week. I think I am going to do that, and then the themes that we do here could still be the first week of the month. I will go back to doing it on Wednesdays so it is a midweek challenge. I just have to question whether this is worth the effort. The reasons people give for not wanting to do it anymore don’t always seem right, apparently things like getting comments is more important that the challenge itself. Thoughts please??? It is holiday season here in Melbourne, the summer holidays. The first two weeks after Christmas are the busiest times of the year around here. The city is thumping with people as they go about what they are doing. People are sightseeing, people are moving, and people are drinking. This outdoor bar is very busy and is a common scene at this time of the year. They have another couple on the river that were full of people as well. I hope it doesn’t disappear .. I have enjoyed MM for ages. In saying that, I also understand how busy you are and how disappointing it must be for you! I don’t want it to disappear, but I wonder if it would be better to move it. I wouldn’t have to do too much work if we did that. It is a bit, considering what it was like in the beginning. We will see what happens, thank you Julie. I won’t be using facebook for photographs. Did that in the past and after a while i just got fed up with it. So if MM would go to Facebook, then i will have to pass..
And i must say i don’t really mind there not being too many comments. It’s always nice to get comments, but it’s fun just to share images every week. It is a shame that the numbers have gone down, would be interesting to find out why. But i’m sure you have wondered about this too. Why did you get fed up with it Pieter? Always curious. I don’t know, I have had emails from people saying they don’t want to do it anymore because no one comments, I’m with you, it is about the challenge itself not the feedback. I have no idea why, I wonder if it is because people don’t blog as much, or people can’t be bothered, maybe people are too busy. Who knows. Thank you, I will keep both for now, and run it in the group as well, see what happens. The group is a closed group, so I have control on who is in there and if people become rude, I can kick them out. I have that power,lol. That can be a problem, I have to say I don’t do a lot with most groups on FB, for that reason. I have been really selective and recently left quite a few. I was hoping the same thing Pieter, that people who like it would like to see it going and contribute once again, but apparently not. Oh well, it will be what it will be. Thank you Pieter. I use the same photographs several times usually because I think they are the best ones I’ve done in that category. Not every picture I work on comes out the way i want it. I most certainly NOT because of “hits” or “comments.” It’s because in MY opinion, it’s a good picture … better than others I’ve done. That is an interesting observation, I haven’t found Facebook like that, I do a bit with Instagram. I am hoping my group there isn’t that way. I have set guidelines and rules, and I do hope that people follow them. I am still undecided what to do and think in the short term I will do it on both, see what happens. Thanks. Hi Leanne, Please don’t stop MM here. I enjoy looking at the submissions and I find them inspiring. I am not prepared to go to FB simply because I hate it (too much indigestible rubbish). I admit I have been lazy in submitting (not in looking). A meager excuse is the holiday-season. Like the horse said: I’ll work harder. We will see what happens Jim, though it will be easy to look at on FAcebook, there are ways of just seeing what people post so you don’t have to look at all the dribble. I know what you mean, I don’t go through my profile very much. I might do both for a while and see what happens. I think that it should still be continued here. Comments aren’t anywhere near as important as being involved in a community and I think the best thing about MM is that it does create a community and expose people to other people’s work for little effort. If people think that comments are more important, then they’re really missing the point. Sure, the boost in views is nice but I’m more concerned about people being involved. It is amazing how many people have stopped doing it, and their reasons were because no one left comments anymore. I don’t think it should be about that either. It is nice that people contribute, you should take a look at the group too, it is quite active, which is nice. Thank you. No decisions have been made, but I am getting people to do it on FB as well, so might encourage both for the time being and see which one does better. good to hear you like seeing the photos. Leanne – I just forgot to submit for this week! That’s why I wasn’t here. I’m in this for the long haul, and will follow you someplace else if you decide to move locations. I can see why you’d be discouraged about the lack of participation, after all the work you put into doing this project, but i hope you know that I greatly appreciate your willingness to give other photographers the opportunity to show our our work to a large network. That’s okay Melinda, you nearly always post, so forgetting is fine. Thank you, that is good to hear, I try. The holiday mood looks pretty cheerful even in monochrome. It doesn’t. The holidays are looking very hot here at the moment. At what? Monochrome is isn’t hard, and I think part of the reason for MM was to get people to challenge themselves to do it. 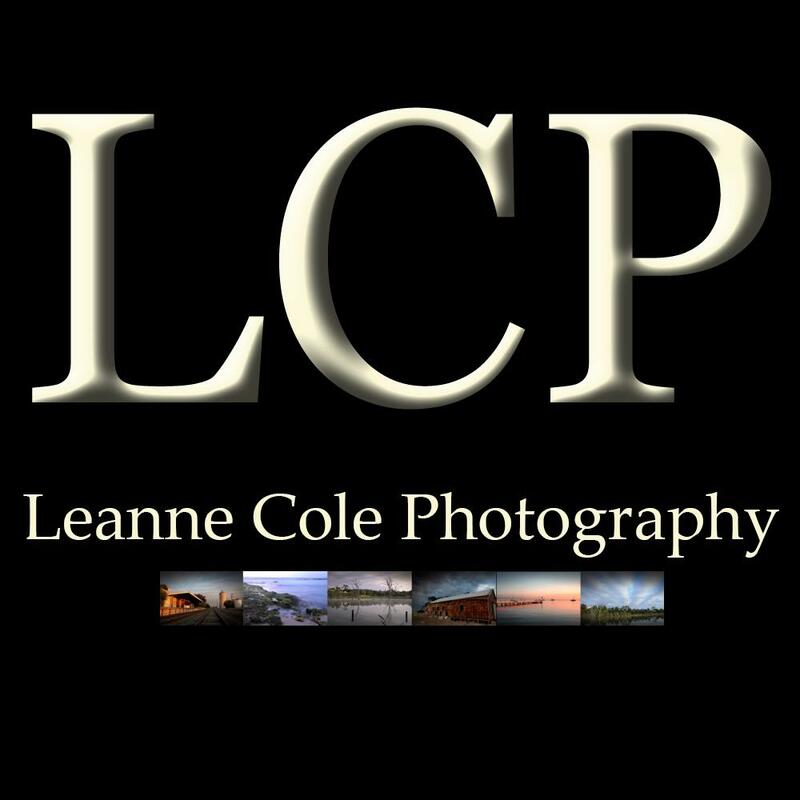 Hi, Leanne: Although I haven’t been submitting images to MM, I have been checking the post to see what others are doing on a fairly regular basis. But if it goes to Facebook, I won’t be looking at it. Facebook is a platform I do not use. If you get better participation on that venue, it probably makes sense to do it, but I hope you won’t completely abandon the blogosphere. Why don’t you use FB Robin? I haven’t decided, but things are changing and I need to simplify somethings, and this may be one of the things that has to change. I’m sorry you wouldn’t see them, if it happens. It is going to the FB group, you would need to be on FB, you wouldn’t send them to me then, you would just put them up on the group. I won’t put any image on Facebook for several resons. The other is, I have some filters installed, to wipe all the FB-spyings out of the websites. I can use FB only via a certain VPN. So, that’s no option for me, sorry. I think it isn’t just FB, apparently it is Google as well that does all that sort of thing. I just don’t worry about it, FB is too important to my business, so I have to use it, it is where majority of my customers come from. I haven’t made any firm decisions yet, but having less than 10 entries, means I have to ask is it worth it? It is too bad, it has been great and I would like to see it continue, but if people aren’t interested I have to ask why do I bother. We will see what happens, in the near future. I am going to start it on the Facebook group, as they are incredibly active and I like that. I might do both for a while, see where it goes. Sorry I didn’t get my MM entry in this week, Leanne. I’ve been sick the last couple of weeks but am feeling better now and will get my entry in for next week. I’m also sorry to see so few entries this week. Remember when there would be 50 or more entries every week? I see you still have a lot of followers and they still like these weekly MM posts but they don’t enter their own photos anymore. I wonder why. Maybe people prefer to use Facebook these days to share their photos. Personally, I use Facebook to keep up with what family members are doing and prefer to spend most of my computer time on WordPress following other bloggers and posting travel photos on my own blog. Thank you Jerry, though you do it nearly every week and it is fine if you can’t do it sometimes. I really appreciate the effort you put in for it. I remember when there used to be over 50 entries as well, it was massive. I don’t know why a lot of people have stopped, or never started. I really don’t know, though the new group I started is very active, which is great. I don’t know what I’m going to do, time will tell. I’m willing to give it a try — if you think the stuff is good enough. Sounds great Marilyn, I look forward to seeing what you send. Also another question: by “low res,” do you mean the size or the number of pixels per inch? Recently, I’ve been using 300 ppi, but reducing the size to max 1000 pixels on the longest size. Do you want a smaller resolution or is this correct? It is 1000 pixels, and you really only need 72 dpi, or 100, small images are best, makes it load faster and doesn’t use too much of my internet space. I haven’t entered because I don’t think most of my black & white stuff is good enough, though I’ve made a little progress.I suspect the problem is mostly that i don’t do enough black & white work to get good at it. Lately, i haven’t been taking many pictures of ANY kind. It’s the dead of winter here and ridiculously cold, so I haven’t been out except once or twice to go grocery shopping. It is supposed to snow tomorrow, so i’ll get some pictures of snow at least and they work pretty well in black & white. To be fair, I’m not thrilled with any of my photography lately. I seem to be in a mental dead zone. I’ve been blogging a long time and a lot — and I think I’m a bit tired. I think the point of MM was always to encourage people to just do black & white or monochrome, with no judging, or such. I think if you want to do it, you should give it a go Marilyn. I’ve been hearing how cold it is over there at the moment, beyond comprehension to me. I’ve never really experienced that kind of cold. I know that feeling, I haven’t been liking what I’ve been doing lately either, I’ve been a bit bored I think. We both need to find some inspiration. The plow finally got here today. We’ve been home since the snow on Thursday … completely home because we couldn’t get out of the driveway. And the cold is really intense with advisories for people like me with heart issues and/or asthma to stay home. We get cold weather, but this has been going for 9 or 10 days and it is VERY VERY cold — in your thermometer about -24 degrees (about -11 here) and if you add the wind, it makes it hard to breathe. No matter how much I want to shoot, I’m not going out there much until it gets a bit less ferocious. But Garry managed to take some nice pictures. They weren’t in black & white, but they all look monochrome because our world is currently monochrome. Winter can be very long and bleak. That’s really good to hear Marilyn, I love the idea of snow, but I do think it is a lot of work. I can’t even comprehend or understand cold like that, not something I have ever experienced.No you can’t go out when it is that cold, just stay warm and safe please. Frankly, after our last discussion, I wasn’t sure if MM was still on. I also think that with the week off and with the craziness of the holidays (everyone has crazy famiy, right?) this might have slipped through the cracks (it did for me). Back to the topic at hand . . . I think Facebook’s more active community might be a better fit for MM, especially if people are wanting feedback (no dearth of feedback on Facebook for nearly anything anyone can think of). Yeah, I’m still trying to decide what to do, though I might continue, but encourage the FB group as well. I like the idea of it returning to Wednesday, so it becomes a mid week challenge, then there is the other challenge on Saturday. I thought a lot of people might have forgotten, well a few of you. The group on FB is amazing, it is so active, I find it hard to keep up with it at times. Maybe we can do both for a while and then see what eventuates. Thanks Disperser. I forgot. That’s my excuse this week. I’m in this for the long haul (except when I forget), and will go wherever MM lands. I understand your frustration at putting in your time with such low participation, though, and I appreciate everything you’ve done to help us get our work seen by a larger audience. Thank you Melinda, the FB group has the advantage that I don’t have to put up the photos, or resize images, and such. The group is very active, and getting bigger all the time, so I like what is happening there. I will continue to decide, thank you Melinda for the support. Time got away from me so I didn’t send a photo for this week. Enjoy sharing so I am up for whatever you decide. Thanks for all your efforts! Happy New Year! I think it was a common problem Carolyn, it does happen.